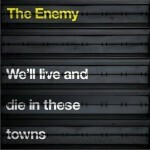 The Enemy were a band from Dunedin, New Zealand, that are often seen as the starting point of the Dunedin Soundrock movement. Though the band did not release any official recordings, some of their performances are available in bootleg form. They are seen as hugely influential on the development of music in New Zealand. Though the band only existed from 1977 to 1979, they created the style which led to the development of many later bands in both Dunedin and New Zealand in general. Fronted by Chris Knox and featuring Mick Dawson, Mike Dooley, and Alec Bathgate, the band were strongly influenced by the punk rock music scene overseas and acts such as Patti Smith and Iggy Pop (who is referred to in the song "Iggy Told Me", during the performance of which Knox would often intentionally cut himself, drawing blood). Later in 1978, former Split Enz member Phil Judd joined the band, prior to the formation of his band The Swingers. Due to tensions in the lineup, The Enemy split soon after. 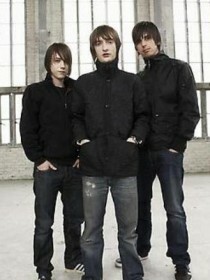 Upon the demise of The Enemy, several members of the band went on to form Toy Love. Toy Love played a number of songs that The Enemy originally performed, sometimes with slight rearrangement or alteration of lyrics. 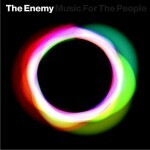 Songs that began with The Enemy but were first recorded by Toy Love include "Swimming Pool", "I Don't Mind", "1978", "Squeeze", "Sheep", "Cold Meat", "I'm Not Bored" (which The Enemy introduced as "I'm Not Bored, I'm Dead"), and "Don't Catch Fire". After Toy Love broke up, Bathgate and Knox remained together as the Tall Dwarfs. Early supporters of The Enemy included Hamish and David Kilgour, who were to found The Clean. Legend has it that Hamish Kilgour named The Enemy for their music style, and in response or retaliation, Knox commented that the Kilgours' own sound was "squeaky clean", hence that band's name.